Award-winning realtor Josh Nugent knows the North Florida housing market inside and out. The Jacksonville native grew up in the real estate business. His father and aunt developed and built condominiums and single-family subdivisions throughout North East Florida including Daytona Beach and Orlando. Josh started his career in 1999 working for a local homebuilder. He specialized in land development and new construction. This unique family and work background gave him the combination he needed to quickly become a successful real estate agent with Prudential Network Realty, now Berkshire Hathaway HomeServices Florida Network Realty. 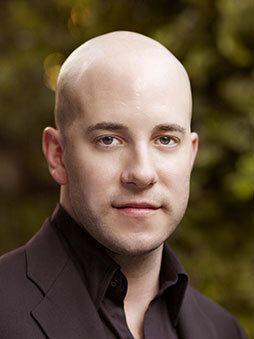 Josh began working with Prudential Network Realty in 2009. His first year, he was honored with Prudential Network Realty of Northeast Florida’s Rookie of the Year award. That year he took PNR’s mission of extremely full service to the next level. He created a marketing flyer that was adopted for use company-wide. The campaign and his break-out success was recognized on the national level at the 2010 Prudential Real Estate Convention in Austin, TX where Josh was one of 3 guest speakers in a training class titled Top Techniques from Rising Stars. Josh specializes in river front, oceanfront, and in-town condos and town homes. He sold the most condos and town homes in the company in 2010 and participated in the single highest sale the company has had in years of over 10 million dollars . He has received the Marathon Award for generating at least two new pieces of business each month every year since 2010. He is one of the consistent top producers in our Avondale/San Marco office which has been honored nationally as one of the top Berkshire Hathaway offices in the entire Southeast region. Josh not only knows the housing market, he also knows North Florida living well. As a native, he has a strong understanding of the area has to offer from Amelia Island to St. Augustine - including restaurants, nightlife, parks, events and culture activities. Homebuyers who are relocating to Jacksonville greatly benefit from working with Josh. His unique background gives him the expertise in what areas of Jacksonville fit his buyers best. All of Josh’s qualifications, ambition and care for real estate give his clients top service, trust and satisfaction.